Nerd culture is everywhere these days. A relatively new-ish development has been a slew of video game related novels (no, I'm not talking about novelizations and tie-ins). With the kids that grew up in the '80s with Amigas and SNES, who are now in their 30s and 40s, this was bound to happen. Just look at Adam Sandler's Pixels (by no means a good movie, but leaps and bounds better than his usual fare, like *shudder* Grown Ups 2). While there were quite a few novels in the 90s that took place entirely in virtual reality worlds, those were mostly second world fantasy novels that didn't really deal with video game lore or culture. Barring books like Gibson's Neuromancer and Stephenson's Snow Crash, this kind of novel didn't really happen until the 2000s. Here are my choices of some of the better offerings. I haven't included non-fiction (perhaps in the future), but I do mention some in the end notes. I'm kind of shocked that Ready Player One came out four years ago. Seems like everyone is talking about it, years later. Granted, there's a film adaptation in the works helmed by Steven Spielberg, but still! 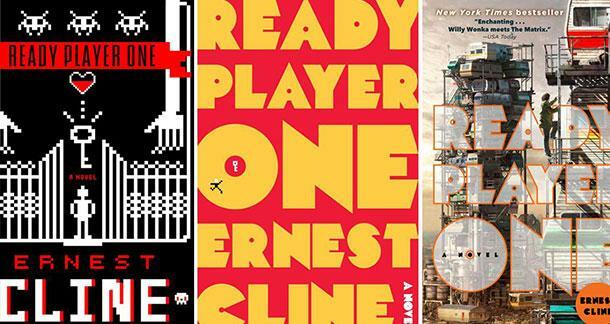 Ready Player One deals with a teenager growing up in poverty in the not-so-far future of 2044. His entire life revolves around a massive multiplayer online game called OASIS, which is pretty much where everyone hangs out since real life is so crappy. The main draw for our hero however, is trying to crack a puzzle that the tycoon who created the game has left behind, with the prize being his entire fortune and possibly the fate of OASIS itself. On the other side we have the company IOI, who want to solve the puzzle in order to own OASIS and start charging money for it. Clearly the stakes are high. Ready Player One hits most gamers' nostalgia buttons pretty hard. The hero's main strength is his intimate knowledge of '80s era videogames, which coincidentally is what most gamers in their 30s and 40s are familiar with today. In that sense, it's a fun little diversion, all these references woven into the narrative itself. Or if you're me, you kinda wish there weren't that many of them. Either way, if you haven't checked it out, you're probably tired of hearing about it, so you might as well give in and give it a shot. I read this a couple of years ago and gave it a less than stellar review on my Goodreads (nobody check my Goodreads account), but thinking about it now, I might have been too harsh. My memory is giving me vaguely positive feelings, even a little bit of nostalgia. I think I might actually prefer this over Ready Player One! 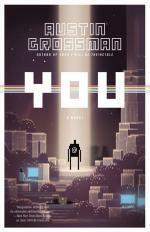 In You, our protagonist Russel joins a game company founded by two of his old friends, one of which died mysteriously. His main job after joining is to find and squash a game breaking bug that threatens their new flagship game and possibly the company itself. This is mainly used as a vehicle to delve into the history of his relationship with his friends, the company and their breakout hit game. The mystery is pretty interesting, though I found the resolution less so, but the trip is worth it, in my opinion. If you're into video games and especially into the art of making them, this might be the best choice for your video game-related fiction. 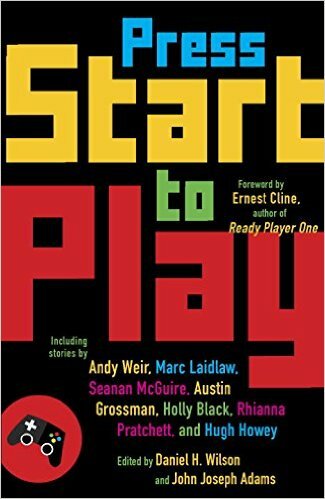 Perhaps something more faithful to video games: An anthology of stories dealing with, emulating or inspired by video games. Edited by Daniel H. Wilson and John Joseph Adams. Contains stories by Daniel H. Wilson, Charles Yu, Hiroshi Sakurazaka, Holly Black, Django Wexler, Chris Avellone, Cory Doctorow, Jessica Barber, Chris Kluwe, Austin Grossman, Ken Liu, Catherynne M. Valente, Andy Weir, and Hugh Howey. I can recommend Holly Black's 1UP, Chris Avellone's <end game> and Austin Grossman's hilariously titled The Fresh Prince of Gamma World. Strong recommend, especially as a sampler of a bunch of great authors. I'm gonna take you back a bit, to 1992 and Neal Stephenson's Snow Crash. 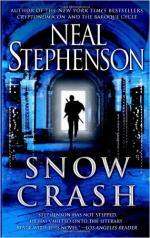 The samurai/hacker/pizza delivery guy, Hiro Protagonist is drawn into an investigation of a new drug/computer virus, Snow Crash, responsible for the death of his best friend. 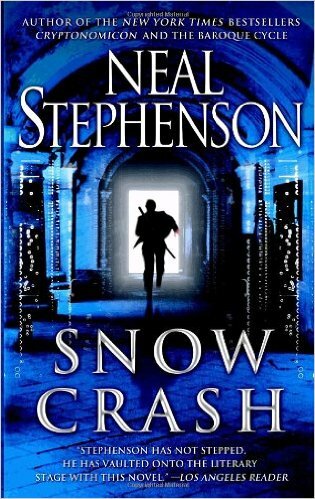 A fairly meta novel, it nonetheless fits the bill: Hackers in the Snow Crash world do their work in a virtual reality called Metaverse. 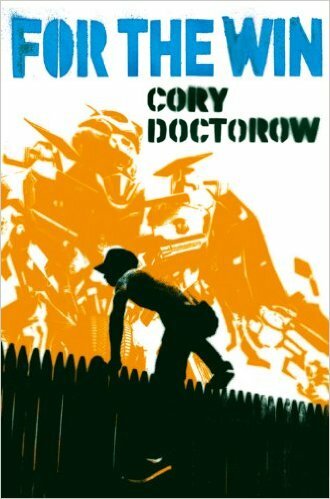 Not quite a video game book, but this is essentially a cyberpunk classic and well worth picking up. Available for free online but also conveniently on Amazon in eBook or paperback formats, For the Win is a Young Adult novel about kids fighting oppression through video games. Synopsis: In the twenty-first century, it's not just capital that's globalized: labour is too. Workers in special economic zones are trapped in lives of poverty with no trade unions to represent their rights. But a group of teenagers from across the world are set to fight this injustice using the most surprising of tools - their online video games. Taking a cue from real-life World of Warcraft gold miners in China and extrapolating its logical conclusion into the future, Doctorow builds a dystopian society where a group of kids is used as virtual reality slave laborers. It's an interesting, if not quite believable concept. I'd also like to mention the work of publisher Boss Fight Books. They publish non-fiction books about specific video games from the golden era and beyond, from Jagged Alliance 2 to Earthbound. They're pretty fun for gamer nerds and although I don't see a Fallout book yet, I'll forgive them this oversight and hope they amend it soon. Got a video game-inspired novel to recommend? Let us know in the comments. 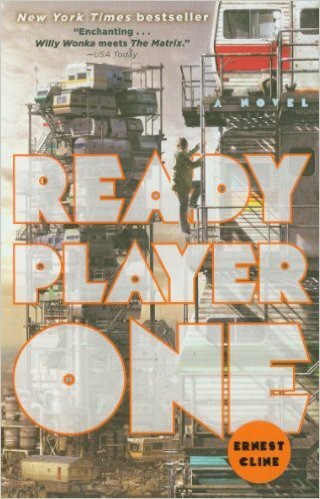 Ready Player One is one of my favorite books of all time, but not just for th 80's video game nostalgia. The big hit for me s the general 80's nostalgia he puts together with the references to the movies, TV shows, fashions, music, and yes, video games of the time. Can't wait for the movie version. I'm actually in the middle of Press Start to Play, but I have found it slow going. For every amazing and fun story in the collection, it seams like there are three more that are incredibly depressing. I've never been one to enjoy being depressed, no matter how well the story is written. I heartily endorse checking out Boss Figth Books. I picked up Earthbound and loved it, but that is one strange amalgam of a book. Definitely worth it for a fan of the game though. 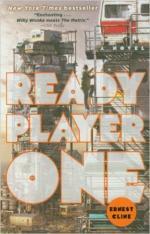 Ready Player One is one of my favorite books of all time, but not just for the 80's video game nostalgia. The big hit for me s the general 80's nostalgia he puts together with the references to the movies, TV shows, fashions, music, and yes, video games of the time. Can't wait for the movie version. Hey, there's also The Nix, by Nathan Hill. Although gaming is only one of its intricately twining strands, it's a really fun element of the novel. The majestic progress of the uber-player Pwnage across his virtual landscape, trailed by his acolytes, as he magnanimously gives away all his gear is really hilarious to anyone who has ever played WoW or eq2, anyone who has ever participated in either or both sides of this dialogue: "I'm quitting this f*cking game." "Can I have your stuff?"